• The assessee was found to be maintaining a savings bank account in which it had made cash deposits. He did not file any return of income. • To verify the source of the said cash deposit, an inquiry letter was written to the assessee by the Assessing Officer. 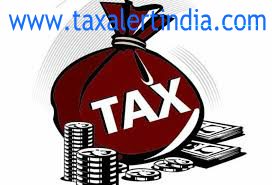 • However, as there was no response to the inquiry letter issued, the Assessing Officer formed the belief that income of the assessee had escaped assessment.In view of these facts, the case of the assessee was sought to be assessed under section 147 by issue of notice under section 148. The Assessing Officer completed assessment by making additions on account of undisclosed cash deposit in the bank account of the assessee and also addition on account of undisclosed interest income and Commissioner(Appeals) confirmed addition. • Since in the instant case, no proceeding was pending before the ITO when he issued the letter of inquiry requiring the assessee to, inter-alia, produce evidence, such letter of inquiry is not valid in the eye of law. It does not require any cognizance to be taken of. And that being so, non-response by the assessee to the enquiry letter cannot be said to constitute material before the Assessing Officer which could lead him to form any belief of escapement of income.